Zoe Bell and Josh Waller are the star and director (respectively) of Camino, set for release in early 2016. I sat down with both of them at the Denver Film Festival, and we chatted about the film, how the process of filming in the Hawaiian jungle differs from filming on a soundstage, how Zoe and Josh came to know each other and work together, and a ton more. If you recognize Zoe’s name, it’s probably because you’re a huge Quentin Tarantino fanboy like me. She made her official acting debut in Death Proof where she’s the woman on the hood of the car in the film’s climax. Yep, that Zoe Bell. Tarantino enjoyed her work so much as Uma Thurman’s stunt double in Kill Bill that he began casting her in more parts. You can see her in the upcoming Hateful 8, as well. We spend some time in this podcast talking about these things, but I did my best to remain disciplined and not fixate on it too much. To do so would be disrespectful to Josh, and their movie Camino, which is awesome. 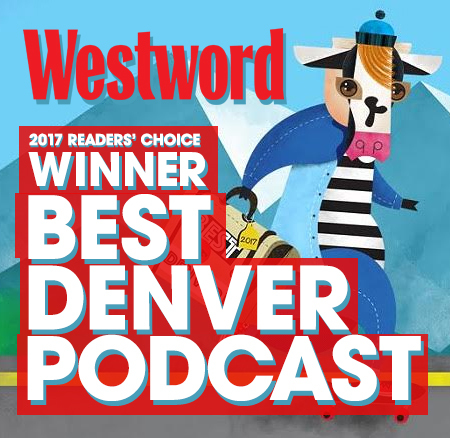 More than probably any other podcast during Denver Film Festival week here on the show, this is a fun hangout episode. Zoe and Josh are clearly friends, and considering this interview took place at approximately 9:00 on a Friday night after their screening and Q&A session and after I had done two interviews previously that evening, we were all a bit punchy. The result is a loose chat that I think will be as fun to listen to as it was to conduct. 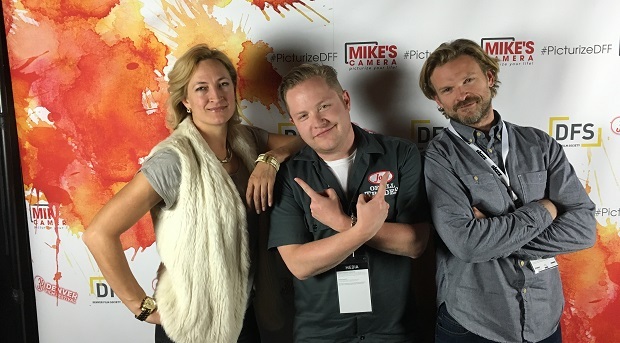 Check out Zoe Bell’s Twitter page, Josh Waller’s Twitter page, and Camino’s official page on the Denver Film Festival’s website. 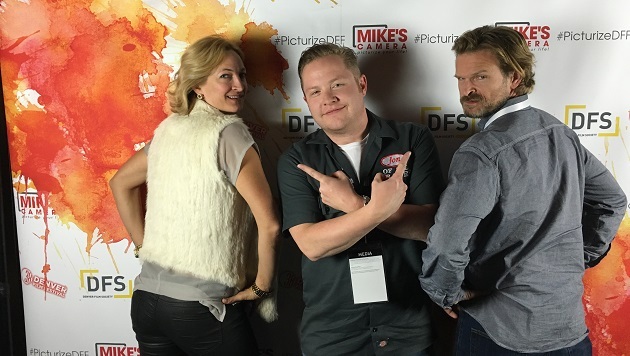 Zoe Bell and Josh Waller, star and director of Camino, are the guests on the Jon of All Trades Podcast from the Denver Film Festival 2015.